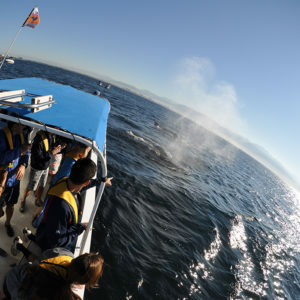 Ocean Friendly Tours es una compañia dedicada al avistamiento de ballenas responsable en Puerto Vallarta, Mexico. For safety reasons it is very important to let us know the number of adults and the age of children in your party to provide the right lifevest for everyone participating in our tours. Also important, please let us know the hotel where you will be staying and your preferent phone number where to reach you and notifiy any changes in the tour´s itinerary. Thank you for your understanding! 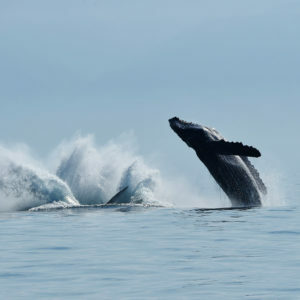 This tour begins on land with an informational briefing and continues on board with 4 hours of pure whale watching delight! 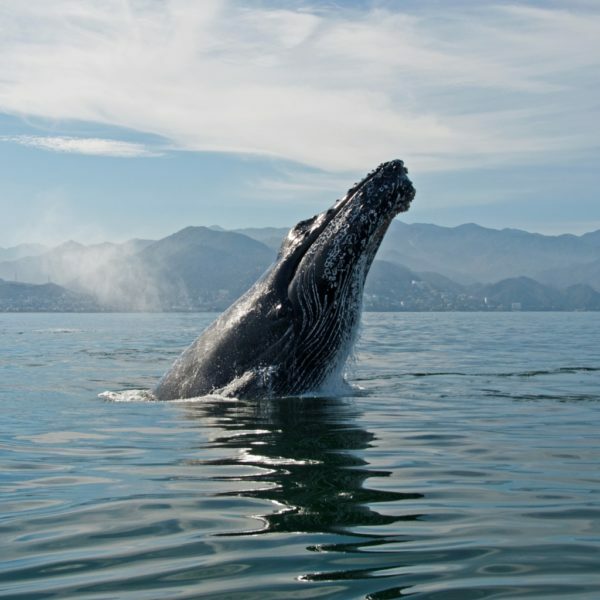 We will depart the pier and immediately begin looking for Humpback whale encounters and other pelagic species that call Banderas Bay home during this time of the year. 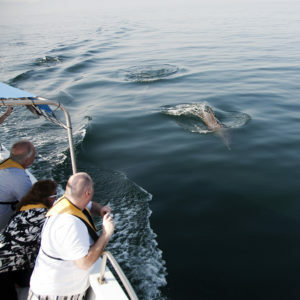 This tour provides perfect opportunities to observe a variety of open water species such as Bottlenose Dolphins, Spotted dolphins, Rough toothed dolphins, Bryde’s whales, Humpback whales (from November through mid April), Giant mantas, sea turtles, and occasionally Spinner dolphins, False killer whales and even Orcas. Great fun with friends and great photo opportunities on this tour! 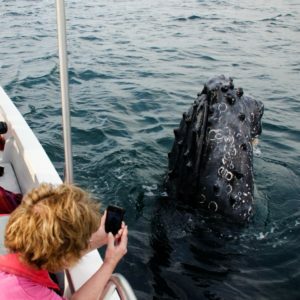 Discover the marvels of the whale world on board our customized fiberglass boats and listen to the tonal songs of the Humpback whales with our underwater hydrophone and speaker systems. Join us as part of the research team as we photograph and identify individual whales for the Fluke Identification Catalog of Banderas Bay.